It’s been snowing like crazy, which is great for all the kids sent home from school—and not so great for the ones waiting for rides or stuck there for other reasons as a record storm piles the snow high. 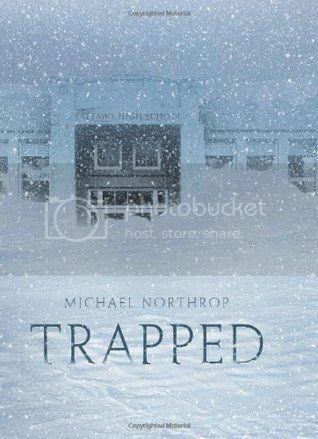 In a rural area, where it’s miles and miles to anything else, that’s a real problem for the small group of kids stuck with each other and dwindling supplies, and no communication to the outside world as the snow piles as high as the windows. And then higher. For a list of some of Michael Northrop’s favorite books, go here.